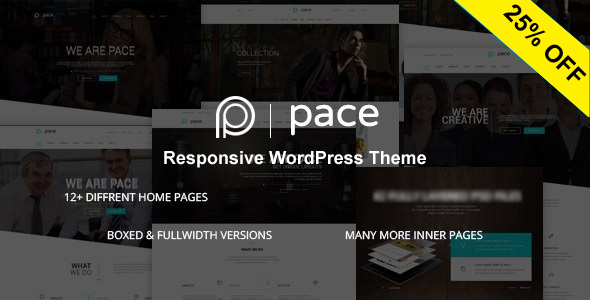 Pace is a Responsive WordPress Theme (Desktop, tablet, mobile phone?) simple, clean and Professional theme. It comes with 10+ Unique layouts, Many more inner Pages, Awesome Slideshows, Unique Color Variations. Easy-to-customize and fully featured design. This theme suitable for Corporate, Business, Portfolio, Classic, Creative, Blog, Business and One Page. Create Outstanding Website in Minutes! Compatible with WooCommerce 3.0.x, WooCommerce 2.6.x, Bootstrap 4.x, Bootstrap 3.x. Pace has been tested with browsers Firefox, Safari, Opera, Chrome, Edge.